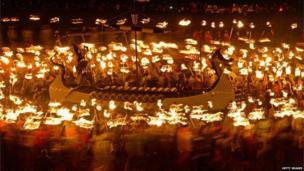 Shetland's spectacular annual Up Helly Aa fire festival brought out tourists and locals despite strong winds. Participants of all ages had to keep their energy up to brave the cold, wind and rain. 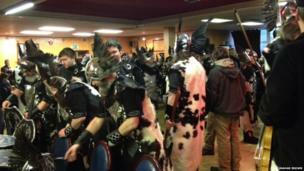 Graham Brown took this picture of the Viking warriors get ready to take part in Shetland's spectacular annual Up Helly Aa fire festival. 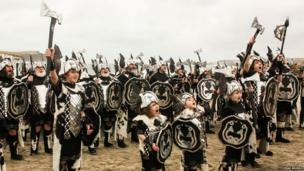 The Jarl Squad gathered on St Ninian's Isle beach in the lead-up to the festivities. 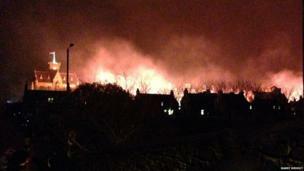 Picture taken by Craig Murdo. The participants were in good voice throughout the day. 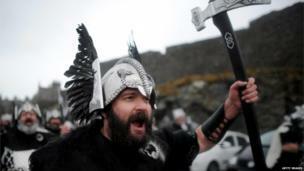 The Jarl Squad's procession through Lerwick got under way on a windy night, says Barry Meheut. 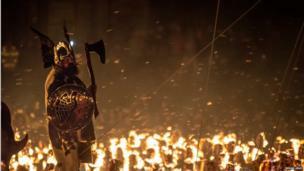 Brian Gray took this shot of Guizer Jarl Ivor Cluness in his galley surrounded by torches just before the burning commenced. Up Hella Aa leaves those involved with some spectacular memories. 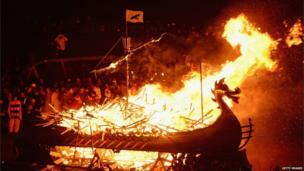 The replica Viking galley is well and truly up in flames after all torches have been thrown onboard. 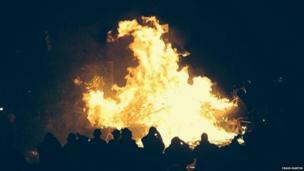 Craig Martin says the flames seemed to take on a ghostly figure above the vessel's dragon head.